BOW + ARRO™ » You Landed a TV Interview! Now What? You Landed a TV Interview! Now What? For many in the financial services industry, landing a TV interview is a huge “win” for a marketing or PR campaign. 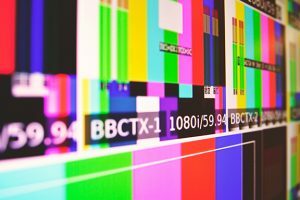 A single TV appearance can often have an immediate effect on an ETF’s AUM or trading volume, and can do wonders for the public stature of the brand in question, as well as the spokesperson on camera. But what does it take to nail a TV interview, and what should would-be interviewees avoid? You already know what your interview is going to be about, so it’s important to spend some time figuring out some key phrases that you’d like to get across in the course of your conversation. It’s possible that your interview will be edited or cut down after the fact, so be sure to keep your sound bites short, to-the-point, and succinct, so as to remain memorable to the audience after they’ve finished viewing your segment. Be sure to check out Alexandra Levis’, Arro’s CEO, recent podcast interview discussing ETF Marketing. Getting on TV is exciting stuff! So it’s perhaps unsurprising if you feel a little excited when the lights come on and the camera starts to roll. As hard as it may be to follow these instructions, you need to relax. Take deep breaths, make eye contact with the host or the camera (depending on where the producer has you looking), and keep your hand gestures to a minimum. Don’t forget to smile at the introduction of your segment; and when wrapping up. It’s normal for people to speak quickly when they feel nervous (and if it’s one of your first times in front of the camera, this is totally understandable), but you risk losing your audience as well as the interviewer and coming across as “on edge.” So there’s no two ways about it: you have to slow down! This might mean that when it comes to the actual moment of the interview, you need to remind yourself to speak slower than usual. Combined with adrenaline rush that often accompanies your first TV interview, this will result in a normal, conversational delivery. Once you know the topic of the interview, it may be a good idea to run through a practice interview with a friend or colleague. Although they will no doubt be lacking some of the journalistic chops of your eventual TV interviewer, it will help you get in the correct frame of mind, and will also provide an opportunity to practice some of the aforementioned tips, including speaking slowly, controlling your body language, and returning to rehearsed sound bites that get your point across with clarity. If you’re anticipating numerous interviews or media appearances and you’re not sure you’ll be comfortable in front of the camera, it might be worth looking into hiring a media coach, who can provide inside tips and additional feedback to ensure you’re interview goes off without a hitch. You’re far more likely to be invited back on a television show if you’re informative, confident, and provide added value to the interviewer’s segment. In the end, it’s completely understandable that the prospect of a TV interview might make you nervous, but by adequately preparing, controlling your body language and pacing, and assembling your sound bite messaging ahead of time, you’ll be in good shape to make your TV debut!